Reaching the proper mind-heart balance involves developing a set of character qualities that enable you to find your life’s purpose. These qualities are love, joy, peace, patience, kindness, goodness, gentleness, faithfulness and self-control. They are the fruit of your new spirit. 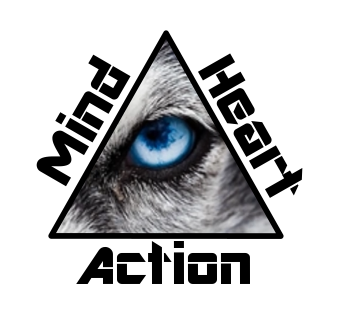 A by-product of mind-heart equilibrium is an intuitive sense of what the right thing to do is given any situation. In other words, doing the right thing becomes an intuitive habit. One of the areas for which I am most grateful for having acquired mind-heart equilibrium is the area of encouraging others. In fact, I’ve “made a 180” from where I was five years ago. Then, when someone opened up to me with a sad situation, or disclosed they were hurt, or I sensed they were in despair, my inclination was to give words of wisdom or a pep talk, relieve their pain, or solve their problem. Now, when that happens, I just sit, wait, and weep with them. I’ve learned that the best type of encouragement is just sitting in silence, and then waiting and weeping with a friend. In these moments, the fruit of the spirit take control. They are uplifting to my friend as well as myself.